Our Lewis hose are our most comfortable pair of hose by far since they're made from a blend of 85% Merino wool & Acrylic / 10% Nylon / 5% Lycra. They have contemporary style, featuring Celtic Cables on the cuff. They are made with a fully reinforced foot, which not only adds to the comfort when wearing, but significantly extends the life of the hose. Most socks wear out first in the heel and toe, so the reinforced foot helps keep wear and tear at bay, making these hose a smart investment. These hose also stretch a bit more in the cuff, so they're better for guys with slightly larger than average calves, fitting up to a 19" calf comfortably. I've now got two pair of these hose, claret and grey, and they are truly great. 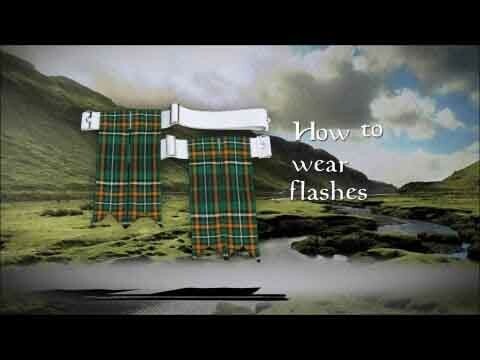 I wish USA Kilts carried more House of Cheviot products. I wear kilts nearly all the time. These are comfortable and long wearing hose. These hose rock! 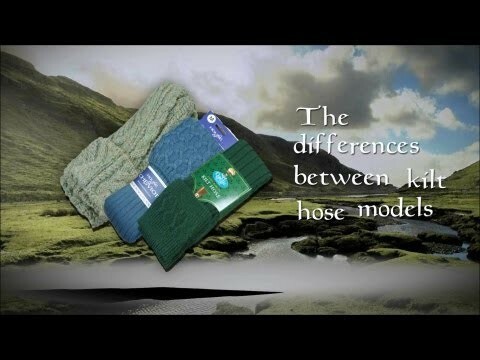 I have a pair of US Kilts' "economy" hose, as well as their hand-knitted model, so the comparison between the three is very obvious. These are pretty high on the comfort scale and don't seem at all like the blister-inducing material of other manufacturers' hose. The reinforced foot is a major plus! I wear my Kilt hiking on many occasions, and have already had to darn and mend my other hose I wear several times from wear, so hopefully the added reinforcement on these will eliminate (or at least delay) that need!